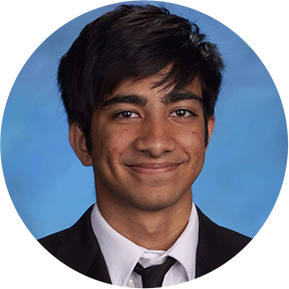 UVA undergraduate Soukarya Ghosh on participating in the statewide NVTC University Challenge, a hackathon competition addressing veteran suicide. Going into the second semester of my University of Virginia academic career, I did not expect an experience like the Northern Virginia Technology Council (NVTC) University Data Challenge. I learned about the Challenge, a hackathon competition, from my teammate, Anjalie Chauhan, a few minutes before the initial information session. I am glad I attended, as it led to a series of events that helped me learn a vast amount about both myself and about the prominent issue of veteran suicide. The hardest aspect initially was forming a team that I believed would be able to tackle the issue full on. It was important to have a team that could do technical analysis and be able to look at the issue from a policy and social view as well. It was not enough to merely have a team of statistical geniuses, as this was a problem in the real world which needed to be addressed with real world tangible actions. 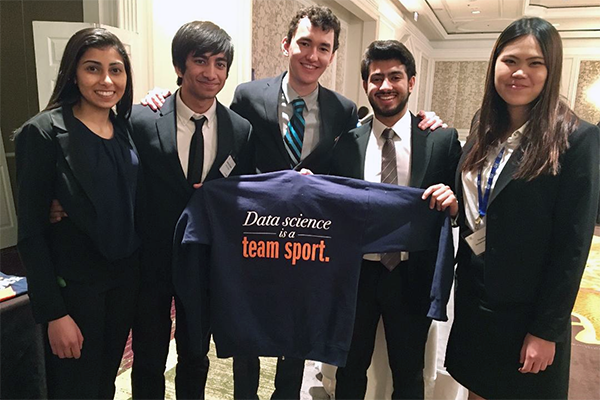 “The opportunity, made available to us by the UVA Data Science Institute, wasn't just a competition, rather it was an experience that exposed us to the importance of data and its potential implications on real-world issues,” Chauhan said. After a few iterations, my final team was formed in time for the internal UVA Data Science Institute (DSI) do-a-thon, a full day of working on the project and sharing information with the competing team. The do-a-thon went well and I believe both teams were able to walk away with perspectives and ideas we had not considered before. For my team, this was diving into LinkedIn for the social media aspect of our project. The next two weeks flew by as my group was able to truly delve into the meat of the project, performing various levels of analysis on demographics and other aspects of veteran life while Rahul and I worked on further developing a twitter bot we started. It was difficult at first to realize the potential of the power we had cultivated through the bot: to identify twitter accounts of veterans. After throwing ideas around, we realized we could prove relevancy of the data by showing the collected population similarity to actual veteran population. Furthermore, we started to integrate sentiment analysis, which could sort incoming tweets based on whether they fell into positive, negative, or neutral categories. This gave powerful insight when combined with the state analysis, showing Montana to be a mostly negative state and the state with the highest suicide rate in the United States. With most of our research finished, we headed into the UVA internal competition with confidence and came out on top. It was interesting to see the approach the other team took and we took a few pointers from them to integrate into our presentation. The next two weeks was a period of refinement and a realization of some faults in our project. Meetings with various experts in the field organized by the DSI helped us achieve the best possible presentation and prepare for the statewide competition. We were pleased with our success at the NVTC competition, and were awarded first place among teams from James Madison University, George Washington University, and Virginia Tech. It was a great learning experience seeing all of the presentations; we were glad to see that everyone took a slightly different approach to this problem. However, something all the teams tackled were the issues of social isolation and the rate of uninsured. These are major issues, among veterans especially. A significant portion of the veteran population are not only uninsured, but are not even aware of the insurance options available to them. Team UVA members Anjalie Chauhan, Soukarya Ghosh, James Yun, Rahul Batra, and Paranya Jareonvongrayab won the hackathon competition addressing veteran suicide prevention at the NVTC Capital Data Summit. “We are mostly first years and in the early stages of our preparations, we had no idea that we would make it this far along and we did not expect to win the entire competition,” said James Yun, my UVA teammate. “However, as we researched, programmed, and analyzed the data more and more, winning no longer felt out of reach. Having won the statewide competition, we do not feel satisfied and feel a responsibility to go forward with this project and create tangible change in our communities. There is no one correct answer or solution to such a large issue, but my team and I wholeheartedly believe it is possible to change existing conditions to be more efficient and versatile, in increasing outreach to veterans and perhaps having an off-boarding process. I learned that there are a tremendous number of programs that have been implemented towards reducing the veteran suicide rate -- this implies that there probably isn't a revolutionary policy approach we could suggest to reduce veteran suicides,” Anjalie said. “One of the main takeaways I got from working on policy recommendations for this project was the idea to apply the results observed from our correlations to existing programs that aim to lower veteran suicide in order to gain more effective results from them. I look forward to exploring what more I can do with what I've learned from this project in regards to veteran suicide.